BOSTON--(BUSINESS WIRE)--Ginkgo Bioworks, an organism design company, today announced that it has raised $45 million in an oversubscribed Series B round. Viking Global, a firm managing more than $30 billion in capital, led the round along with previous investors including OS Fund, Y Combinator and Felicis Ventures. The new funds will be used to expand into new categories such as pharmaceuticals, cosmetics and probiotics, as well as hire additional employees and build out Bioworks 2, the next generation of Ginkgo’s robotic Foundry. “Ginkgo Bioworks was our first ever biotech investment and was part of the Y Combinator class of 2014,” said Sam Altman, President at Y Combinator. “Synthetic biology is one of the fastest growing areas of tech right now and Ginkgo is leading the category. We're excited to invest again in the company." Ginkgo Bioworks is at the intersection of industrial design and biology, delivering designer organisms built to specification for customers. The company specializes in engineering microbes to produce cultured ingredients such as flavors, fragrances, cosmetics and sweeteners. 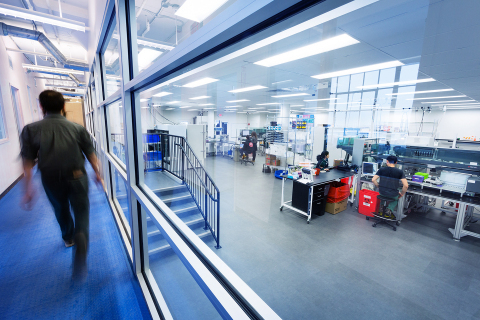 The company’s foundry, Bioworks1, employs proprietary software and robotics to streamline the design, construction and testing of engineered organisms. Ginkgo currently has more than 20 organism design contracts with customers including Fortune 500 companies. These projects include developing organic pesticides with an agriculture company, sweeteners for a major beverage company and rose oils for a French fragrance company, Robertet. Gingko Bioworks is an organism design company that is building organisms to spec for customers across markets including food, health and consumer goods. The company’s organism engineers work directly with customers including Fortune 500 companies to design microbes for their specific needs. The company was founded in 2008 by Tom Knight, a world-renowned computer scientist, as well as MIT biological engineer school graduates Jason Kelly, Reshma Shetty, Barry Canton and Austin Che. Ginkgo Bioworks is based in Boston and is financially backed by Viking Global, Felicis Ventures, OS Fund, and Y Combinator, as well as a number of angel investors and funds. Ginkgo Bioworks the organism design company has secured $45 million in Series B funding led by Viking Global with reinvestment from Y Combinator, OS Fund and Felicis Ventures.